The lower body lift is one of the most extensive procedures in reconstructive plastic surgery after massive weight loss. During a circumferential lower body lift, an incision is made entirely around the lower body. During this surgery, excess skin and fat of the abdomen, hips, and buttocks are removed. Depending on the waistline, there are approximately 30 to 40 inches of the incision to heal. Since the lower body lift is a relatively large procedure with a long incision line and long operative time, the risk of complications is quite high. Additionally, the medical literature shows that patients who have had metabolic weight loss surgery have increased risks of complications. After a lower body lift, the most common complication is incision breakdown resulting in an open wound. Usually, these wounds are small and measure approximately half an inch to an inch. Typically, these small wounds heal on their own with topical ointments and do not require further surgery. However, if left unattended, these wounds can progress and can be much more significant. Blood clots are a dreaded complication. Blood clots are thought to occur either during the body lift surgery or in the immediate 72 hours after the lower body lift. There are multiple ways to minimize the risk of developing a blood clot. To minimize the chances of developing a blood clot during a lower body lift surgery, plastic surgeons use a variety of tools and techniques including anti-embolic stockings, an epidural catheter, early ambulation, and blood thinners. However, each one of these preventative measures has its own set of additional complications. For example, early ambulation can put too much stress on the incisions causing incisions to open. Epidurals also have a small chance of infection. In my plastic surgery practice, I prescribe blood thinners for two weeks after a lower-body lift. Infections can occur after a lower body lift. However, fortunately, infections are rare. During the lower body lift surgery, strict sterile techniques are employed, and you are given IV antibiotics. To minimize post-operative infections, you are given oral antibiotics for several weeks. The stress of any surgery can cause a stomach ulcer. The lower body lift is no different. Also, gastric bypass patients with an anastomosis, like the Roux-en-Y, are at an increased risk for developing an ulcer. As a preventative measure, your plastic surgeon should dispense medication to minimize the chances of developing an ulcer. Like any other surgery, there is a risk of bleeding during a lower body lift. All patients will lose some blood during a lower body lift. However, it is unlikely that you will lose so much blood that you will need a transfusion. Surgical weight loss patients are especially challenging because many patients are anemic. If you are severely anemic and you have a lower body lift, it is likely you will need a blood transfusion. Immediately following a lower body lift, many patients have areas of localized numbness. Most of these areas will have full return of sensation. Almost all patients have an area of permanent numbness above the incision line and below the belly button. Sometimes, the area of numbness can be the size of your hand, the size of your palm, or even smaller. Nonetheless, most patients do have some degree of numbness in this area. Rarely, patients can develop numbness over the hip region, just inferior to the incision. However, most patients are accepting of these areas of numbness and are content with getting rid of the excess abdominal skin. When your plastic surgeon has to join skin lines of different lengths, the incision line initially has to be wavy to make up for slack. This results in skin irregularities. Sometimes, skin irregularities are performed intentionally to reduce the tension in the incision line and achieve a better scar. Almost always, these skin irregularities smooth over time. Immediately after surgery, you will have swelling. Edema is the medical word for swelling. The body heals by swelling. It may take 6 to 8 weeks for the swelling to subside. Your compression garment will aid to minimize the swelling. You will also have skin discoloration. This skin discoloration is from bruising. Bruising may take 2 to 3 weeks to resolve. During the lower body lift, the pubic region is reconstructed. In male and female patients, the pubic region is typically reduced and flattened. The external genitalia is raised in both females and males. However, there is a delicate balance between raising the pubic region too much and not reducing the pubic region enough. 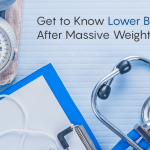 This careful balance will be accomplished by precise measurements taken by a plastic surgeon before and during your lower body lift procedure. Nonetheless, the pubic region is an integral part of the lower body lift. Rarely, does the pubic region become distorted. On the contrary, in almost all cases, the pubic region is significantly improved after the lower body lift. Due to the significant amount of skin and fat that is resected, asymmetries can develop. Asymmetries can either be due to the anatomy of the patient where one side is more prominent than another side. Alternatively, the body lift surgery can be perfectly executed on the table, however, over the ensuing months, areas of skin laxity can develop, and one side can become asymmetric. Fortunately, this is rare. Almost all my gastric bypass patients are allergic to tape. Therefore, I avoid tape with all my patients. During surgery, patients can develop allergies to anesthetic medications. These are very rare. Also, during the post-operative period, patients can develop allergies to antibiotics and pain medications. Usually, these patients complain of itching throughout the body. Please notify your plastic surgeon immediately if you develop allergic symptoms. 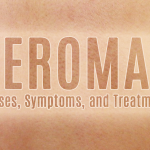 A seroma is a collection of serous fluid underneath the skin and fat. In a seroma, serous fluid collects, and the edges of the skin cannot stick together. Usually, drains are placed to prevent seromas. However, occasionally, seromas can still develop. If a seroma does develop, the seroma may need needle aspiration. If the seroma is persistent, the seroma may require the insertion of a drain. During the lower body lift, the umbilicus or belly button is relocated. Ideally, the belly button is placed in its natural anatomic position. Unfortunately, with shifting of tissues and elasticity of skin, the belly button can become altered and become asymmetric. Also, during the healing period, the belly button may shift either to the right or left. Furthermore, the belly button has a unique blood supply. Occasionally, due to an inadequate blood supply, the belly button can die. If the belly button dies, surgical resection is required. Creation of the new belly button can be done at a later time. Lymphedema is swelling of one or both lower extremities with lymph fluid. The swelling can be mild or extreme. The swelling can involve one or both legs. The swelling may only involve just the foot or ankle, but lymphedema can extend to the knee, thigh, and groin. The swelling may be refractory to treatment and may become a lifelong problem. Fortunately, this complication is infrequent during a lower body lift. However, if you had lymphedema before your weight loss surgery, you are at increased risk for having continued lymphedema or aggravation of the lymphedema after a lower body lift. To function on a daily basis, your body needs baseline calories. For proper healing, a lower body lift demands a significant amount of extra calories in the form of protein. 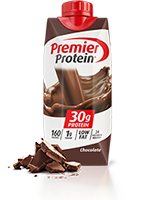 Usually, after a lower body lift, I suggest patient ingest around 100 grams of protein daily. Usually, this is achieved by drinking protein shakes. Since there is an incision across the front of your abdomen, your hips, and the top of your buttocks, moving is an issue. Bending at the waist to get out of bed can be a challenge. Pain is subjective. That means everyone experiences pain differently. Some patients have a high pain tolerance, whereas others have a low pain tolerance. However, after a lower body lift, most patients have some pain. Most patients take pain medications for two to three weeks. Some patients take medications for less time, whereas other patients take pain medications for longer. The problem with pain medications is that pain medication is highly addictive. Also, pain medications cause constipation. Due to inactivity, inadequate oral intake, pain, intake of pain medication, abdominal tightness, and general anesthesia, almost all patients have constipation. Before your lower body lift, your plastic surgeon should provide you with a stool softener. Two to three days before your lower body lift, you should take this stool softener and continue the stool softener until your bowel habits return to normal. Before or after your lower body lift, do not take a laxative. First, a laxative can cause diarrhea, which would be a disaster if you have a bowel movement on the operating room table. Second, you do not want to have diarrhea during your recovery and have to run to the bathroom all the time. Once constipation has cleared, start iron supplements. Every plastic surgeon treats their incision line differently. Some plastic surgeons use antibiotic creams, some surgeons use antiseptic solutions, and some use nothing at all. 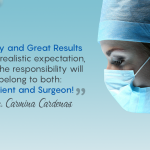 It is vital that you communicate with your plastic surgeon how to take care of your incision line. After your lower body lift, you will have drains. Drains are an essential part of your healing and help by absorbing excess serous fluid as well as blood. Drains minimize the chances of developing seromas and hematomas. (Seromas are collections of serous fluid; hematomas are collections of blood.) Drains are not left in place for a specific amount of time. Drains are removed when their output has decreased to a certain level. Usually, with a lower body lift, four drains are placed. On average, two weeks after the lower body lift, two drains are removed. Then, two weeks later, the other two drains are removed. After lower body lift, any movement can be a challenge. Therefore ambulation can be almost impossible for some. It is essential to have someone assist you with ambulation. Do not try it on your own. It is imperative that you do not fall. If you fall, you can tear incision line and cause bleeding. Also, I would suggest you get a walker. Please be sure you have someone who can drive you and help you get in and out of your car to your first postoperative appointment. After a lower body lift, swelling develops. Swelling is normal. The garment helps to minimize swelling. Swelling slows healing. Therefore, the less swelling that develops, the faster the recovery. Body lift garments are also helpful in providing physical support around the incision line. I have most of my patients wear their lower body garment for 6 to 8 weeks after their lower body lift. If there is still swelling after eight weeks, some patients will have to wear the compression garment longer. 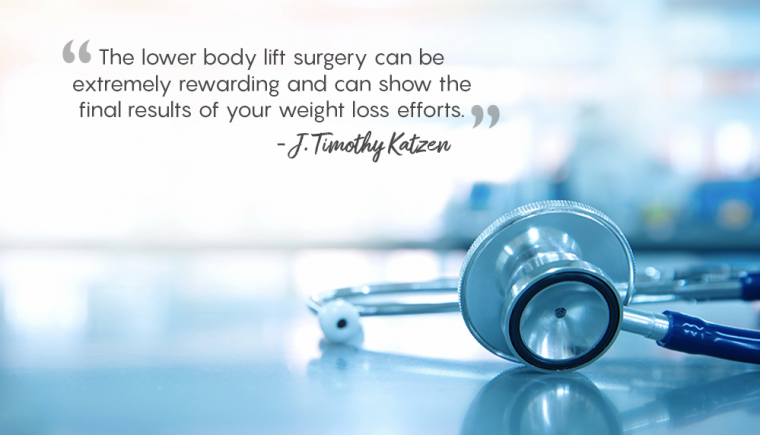 Choose an experienced, board-certified plastic surgeon that specializes in weight loss patients and has performed many hundreds of body lifts. Two weeks before your lower body lift, start ingesting about 100 grams of protein. Get someone to help you with your lower body lift recovery. Correct any underlying anemia with iron pills or iron transfusions. Fortunately, most complications are infrequent after a lower body lift. However, before you consider undergoing a lower body lift, you must consider the risks involved. In my opinion, one should be aware of these complications, but not be so fearful of the complications to avoid having the lower body lift surgery. The lower body lift surgery can be extremely rewarding and can show the final results of your weight loss efforts.